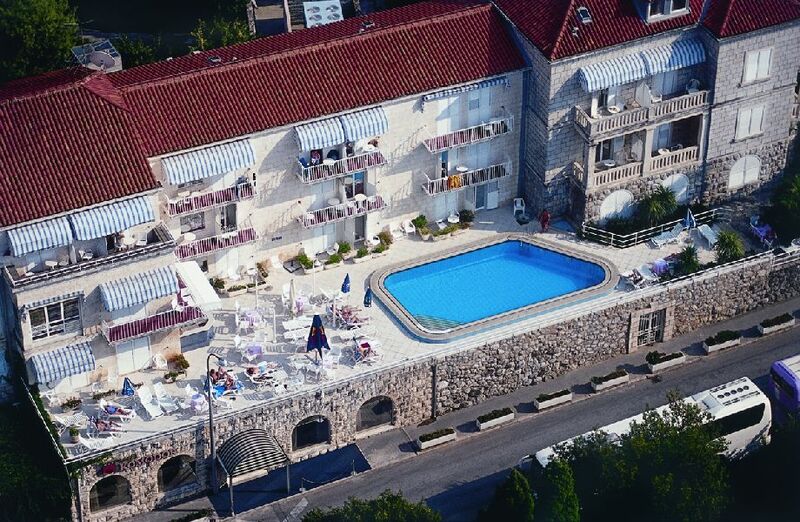 This small and cozy family hotel with the longest tradition on the Lapad peninsula and is a typical example of the Mediterranean stone architecture. Dubrovnik’s top pebble beaches are just a few footsteps away. Our air-conditioned rooms have charming interiors and all the neccessary amenities.The first floor boasts a lovely private terrace with swimming pool. The breakfast buffet,included in the rate, is served in our main restaurant offering a wide selection of local specialties and international cuisine. Lapad Bay promenade with restaurants and bars and shopping area is just 5 minutes walking from the hotel. The Old town is easily reached by regular bus line which gets you there in 10 minutes. Warmth and comfort of the rooms add to the overall feeling of intimacy and familiarity. Following the structure of the hotel all 63 rooms are distinctly located, interconnected through stone staircases and small corridors that evoke the image of old city stone summer houses.